This entry was posted in Uncategorized and tagged activism, activist, adopt, advocacy, advocate, animal, animal adoption, animal advocacy, animal rescue, animal rights, animals, appreciation, art, belief, blog, blog posts, canine, dog, dogs, domestic animals, equal rights, finding meaning, ghost in the machine, giving thanks, gratitude, internet, moving on, neglect cases, new readers, philosophy, puppy mill, puppy mills, Reaching out, rebirth, rebuild, rebuilding, rescue, rescued is my favorite breed, save, saved, self help, spirit, stray dogs, therapy, veterinarian, veterinary. Great post! and all us tech challenged souls should form a group called the “Non Tech Survivors” I get so frustrated when I can’t get my computer to do what I want. 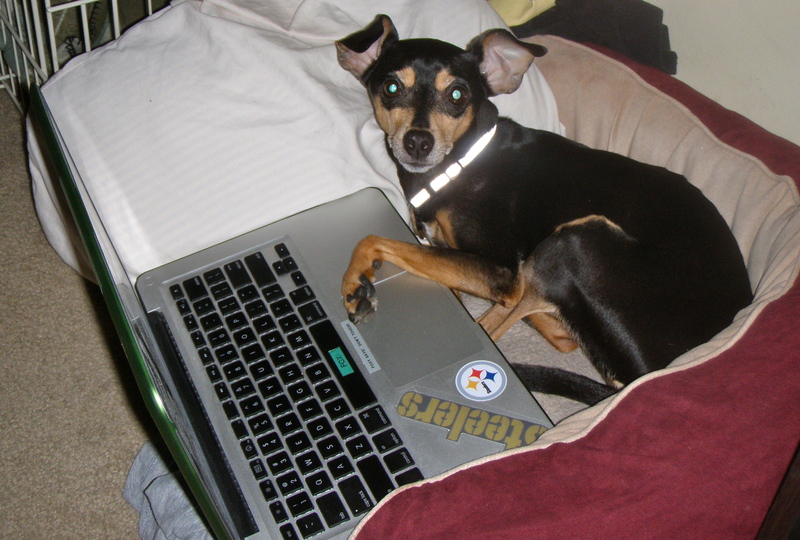 Nice to see the dog is a Steelers fan. My GSD is named Hines! Then you and your dog have taste! Hines is my favorite behind only Troy!